Just a few days ago, a magnitude 7.1 earthquake rocked Mexico City and the neighbouring states of Morelos, Puebla, Guerrero and Oaxaca causing extensive damage and hundreds of fatalities. This was followed by two further aftershocks of 6.2 magnitude and 4.5 magnitude in the last 24 hours. what3words is being used to help-coordinate a response. A simple way to communicate location is critical to effective disaster response. Street addresses don’t exist at all in many countries and where they do, they’re insufficiently accurate for rescue purposes, and become irrelevant when buildings and streets are reduced to rubble. GPS coordinates provide accurate and universal location information, but the long strings of numbers are difficult to communicate and prone to human error. Just one number typed incorrectly in a text message, or misheard over the phone could send a response team to search for survivors in completely the wrong location. This is where the simplicity and speed of what3words can help. what3words is a global grid of 3m x 3m squares where each square has been pre-allocated a fixed and unique 3 word address. Words are easier to remember, communicate and they are less prone to error. The system works offline and in multiple languages. 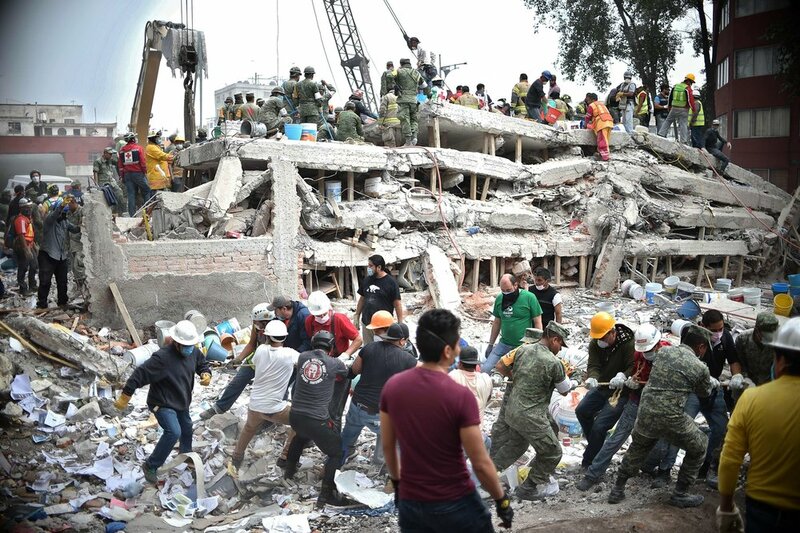 In the immediate aftermath of this earthquake, the Government of Mexico worked with Infinitum Humanitarian Systems (IHS) to convert collected GPS coordinates for collapsed buildings, trapped people and street-side aid stations to 3 word addresses so they could be be used by teams on the ground. IHS is a rapid response provider with experience responding to disasters. It previously used 3 word addresses in Haiti to coordinate the response to Hurricane Matthew in 2016 and in community building work in the informal settlements of The Philippines. During the Mexican recovery work, IHS quickly engaged the Worldwide Human Geography Data Working Group, made up of 4,200 people across 140 countries, and a data team was formed, led by Jeffrey Barrett and Cory Rahman. Overnight they converted all of the Government’s coordinates - including further streams of data still coming in - into simple 3 word addresses that could be used to locate trapped and injured people via the free what3words app, even in areas with an unreliable data connection. By providing a simple and human-friendly way to communicate GPS coordinates, 3 word addresses are helping responders in Mexico to find and rescue people in need after this catastrophic earthquake. It’s a fantastic example of how the free what3words technology can be quickly mobilised and used in situations where the destruction of regular infrastructure makes regular addresses and landmarks impossible to use.